I think the most important thing I’ve learned throughout the whole Blog to Book process is to write what you love and love what your write. 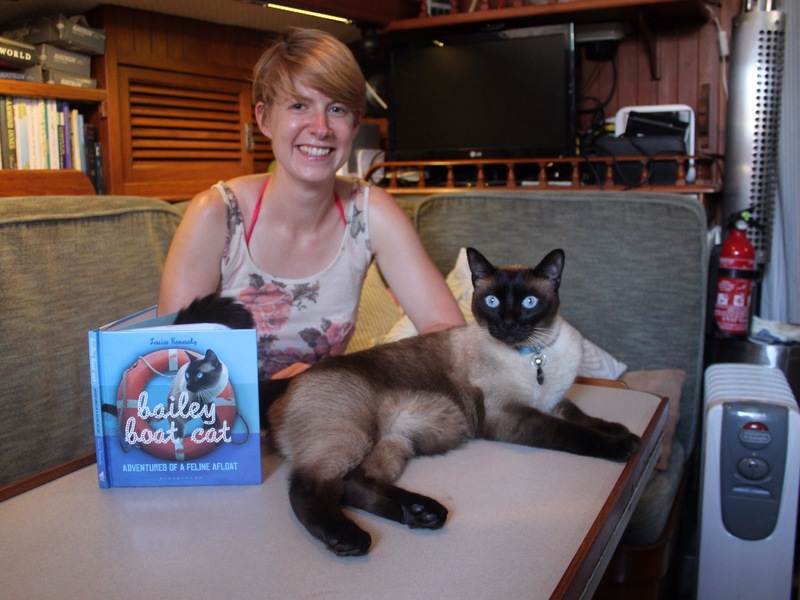 If you’d have said to me six months before I started the Bailey Boat Cat blog, that in a year’s time I would have a book deal with a huge publishing house, writing from the perspective of my cat about sailing… I would have thought you were mad! It all started as a small, fun idea that was just initially a way to be creative. I never expected it to be such a hit. 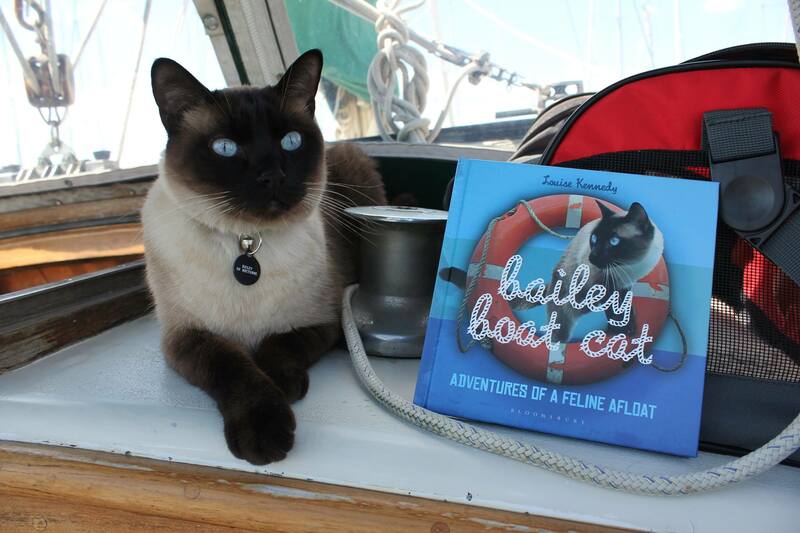 Writing as Bailey has given me the license not to care what other people think, Bailey certainly doesn’t! He simply thinks he’s the best! Of course writing as myself now can be quite scary, but that’s part of the thrill about publishing your work online I suppose. I’ve also learnt that honesty is always the best policy. I was so nervous in the beginning about working with such fantastic and talented professionals. I really felt out of my depth and I was honest when I didn’t understand something. I was very lucky to have such a supportive editor and wider team. At the end of the day, if you’re lucky enough to be working with a team to publish a book, everybody wants the process to go smoothly and for the book to be a success, so don’t be afraid to ask if you don’t understand something. I think it’s really important to remain human. I had a fantastic relationship with my editor Jess and we have since become good friends. Jess and her fiancé James even came out to Rome to stay with us on Nocturne for a weekend and to meet Bailey! I’ve learnt that publishing is a very fast moving business. Just because your pitch has been refused now, it doesn’t mean that it won’t be viable in the future. If you do get a deal though and you have a deadline, make sure you stick to it. There are many cogs in the publishing wheel and it’s your job, as the author, to make sure that the manuscript is ready when it should be. Well, that concludes my 10 part Blog to Book Series. I hope you’ve enjoyed it and found it useful. If you have any questions that I’ve not answered, then please feel free to ask them in the comments below and I will try my best to answer them. If you’re still at a complete loss at to where to start, remember that cats rule the internet, so you could always let your little fur-ball paw a blog or two! Wishing you all Sandy Toes and fantastic book deals! Thank you so much for sharing your story. I am new to the world of being an author. Like you, my pet, is my voice. Yours is the awesome Bailey and mine is the charming Bekah, a King Charles Cavalier Spaniel. Your story forges a kinship for me as I am learning from your experience. Thank you for your great story. I’ve just read through your Blog to Book series and I am so fascinated. Congratulations! I am on a path to writing a novel myself (I just recently fired up a blog, too!) and your posts gave me some inspiration for the day. Congrats, Lou! Next Next post: What are literary agents looking for in a non-fiction submission?